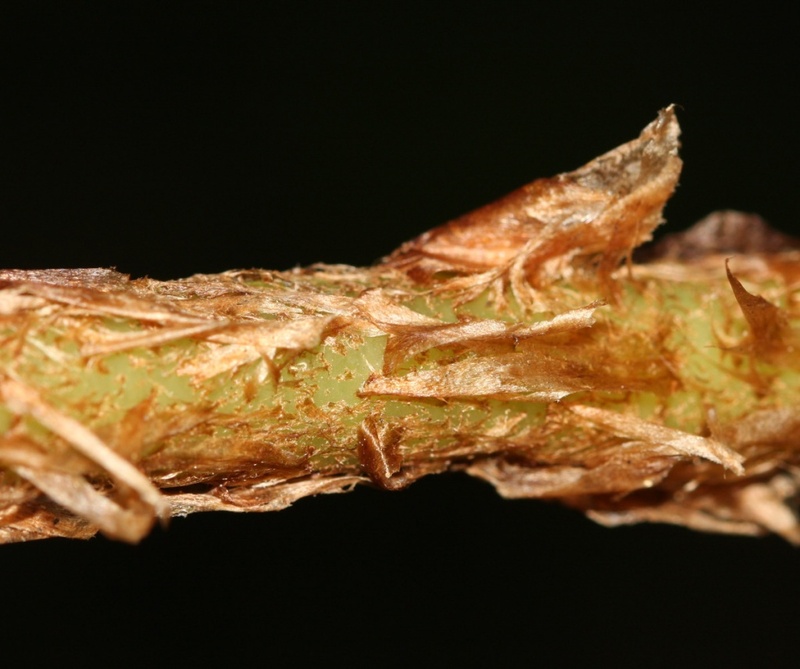 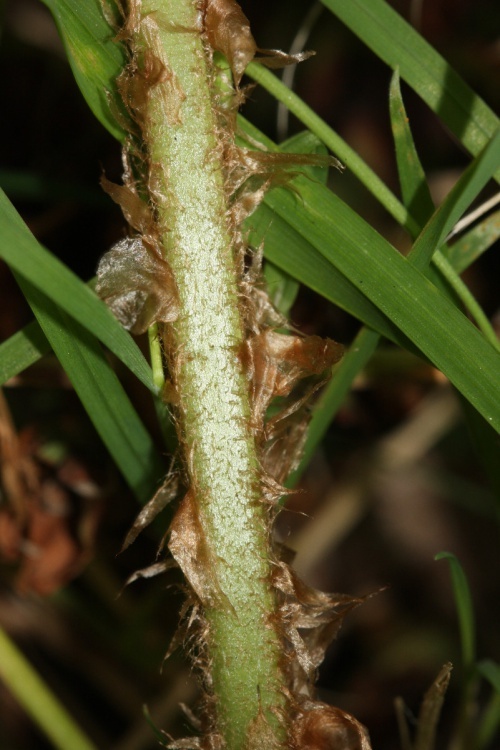 Has a short, stout, erect rhizome shaggy with old frond bases and pale brown scales. 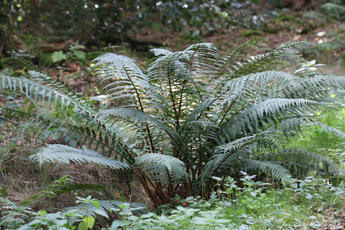 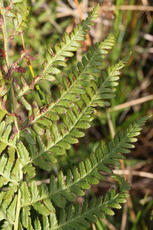 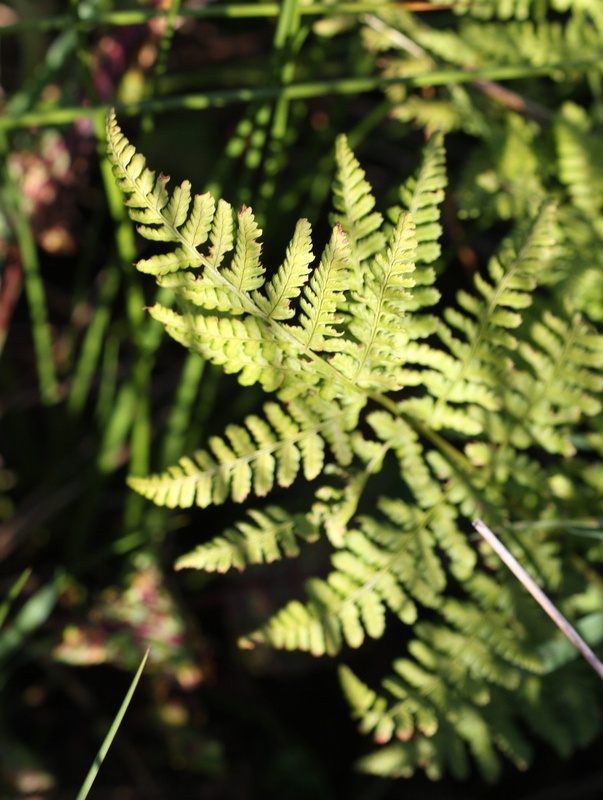 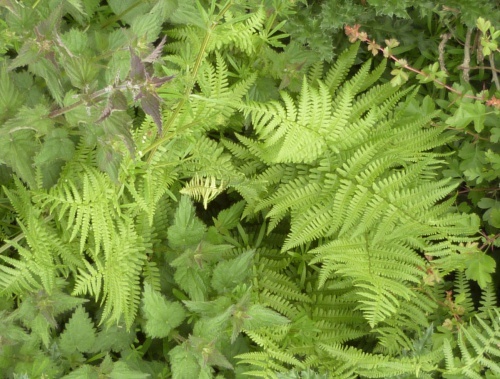 It normally bears a single crown of soft dark green fronds, 15 to 150 cm long. 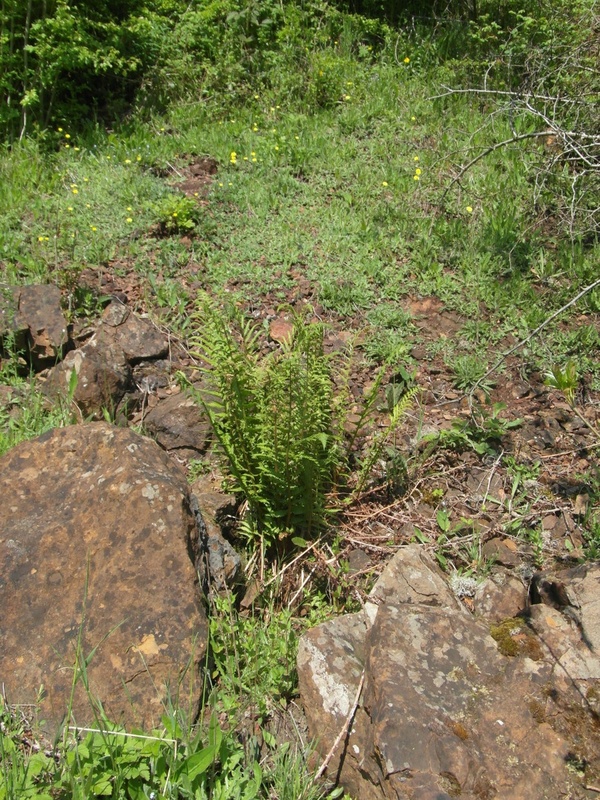 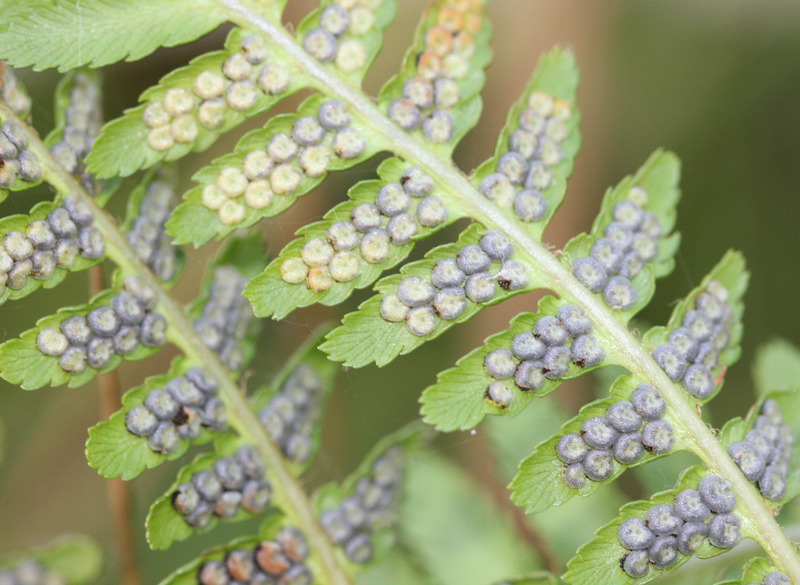 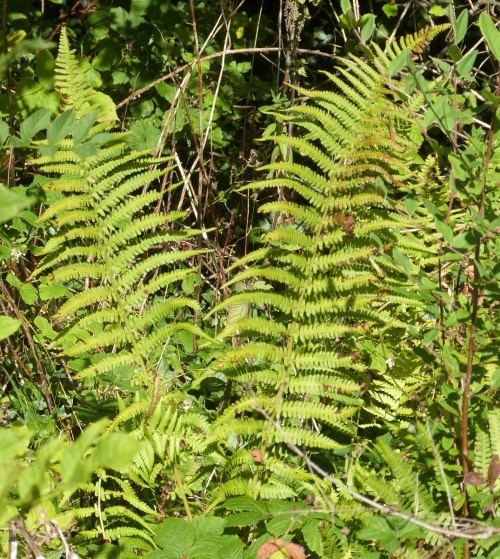 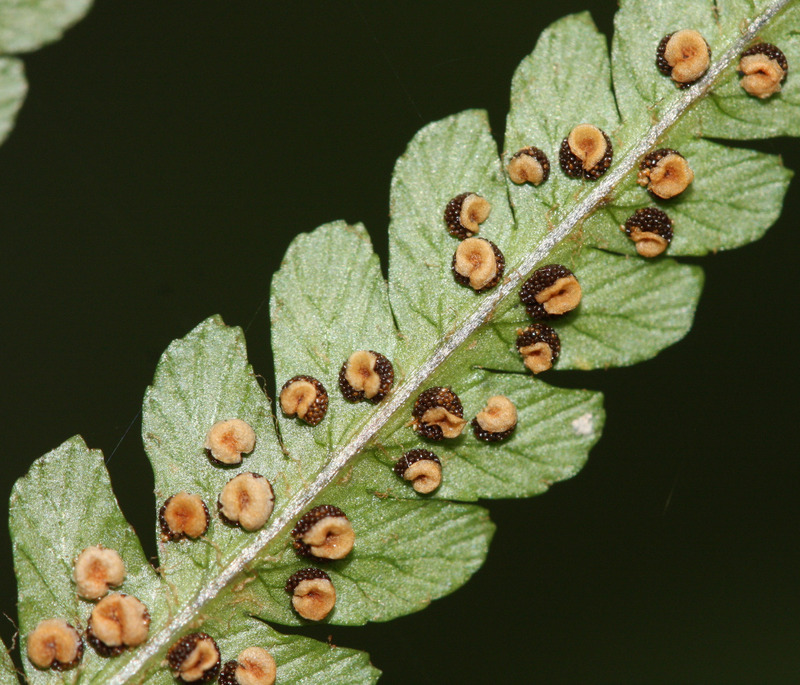 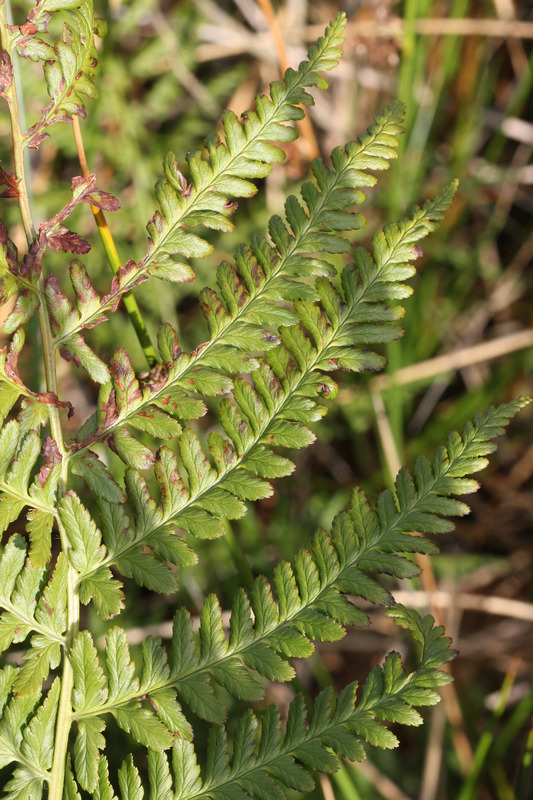 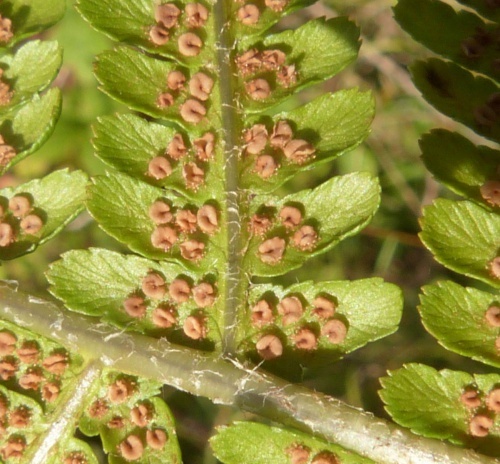 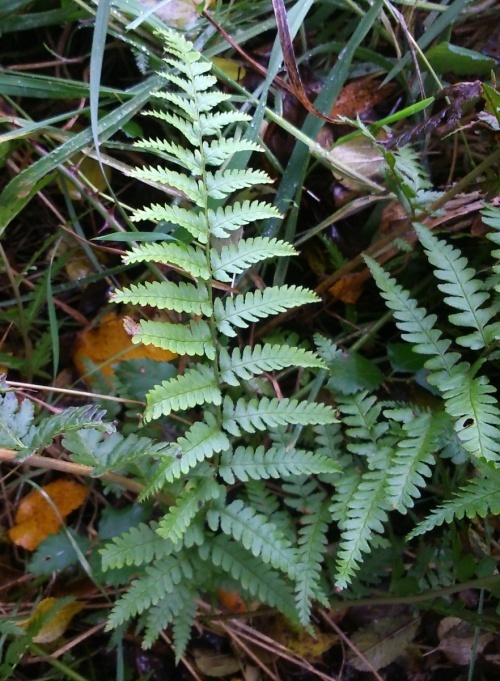 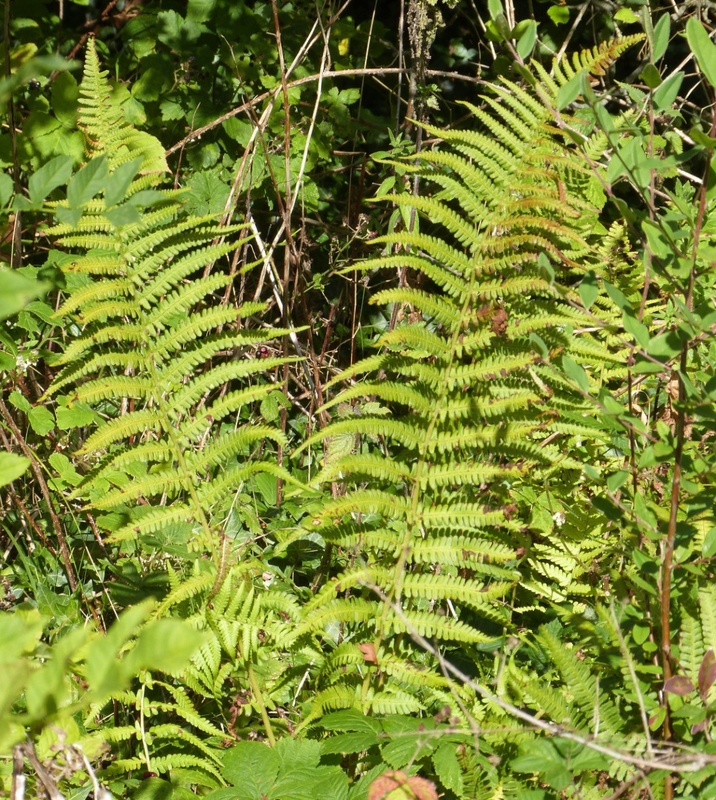 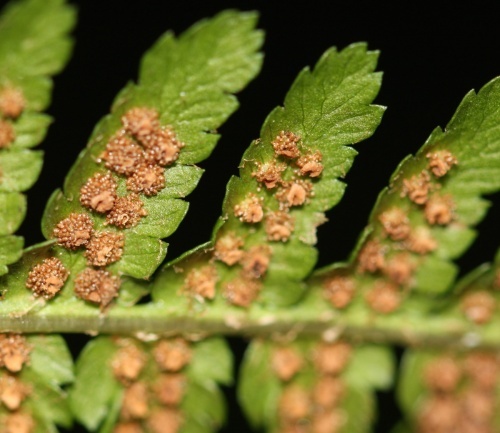 This fern is normally bi-pinnate. 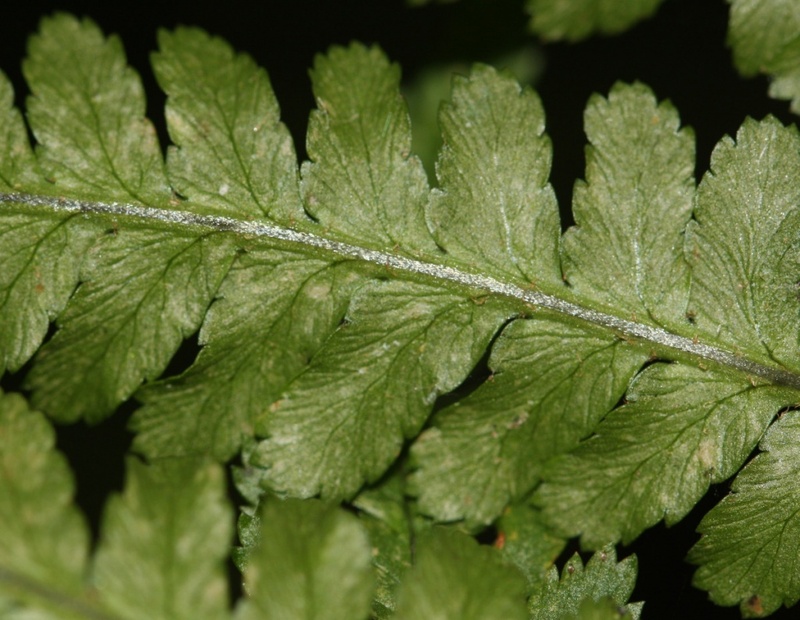 The pinnules have rounded tips and are serrated all round. 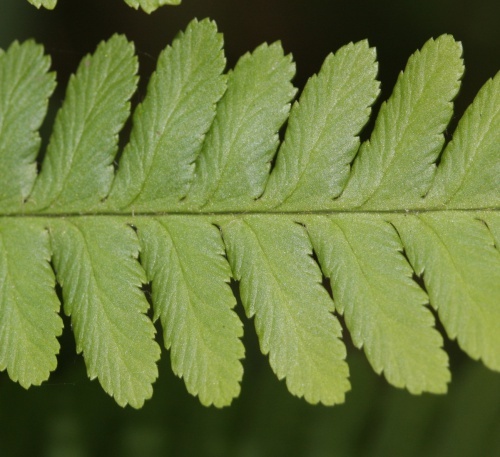 The sori underneath the pinnules are round and normally run in two parallel rows. 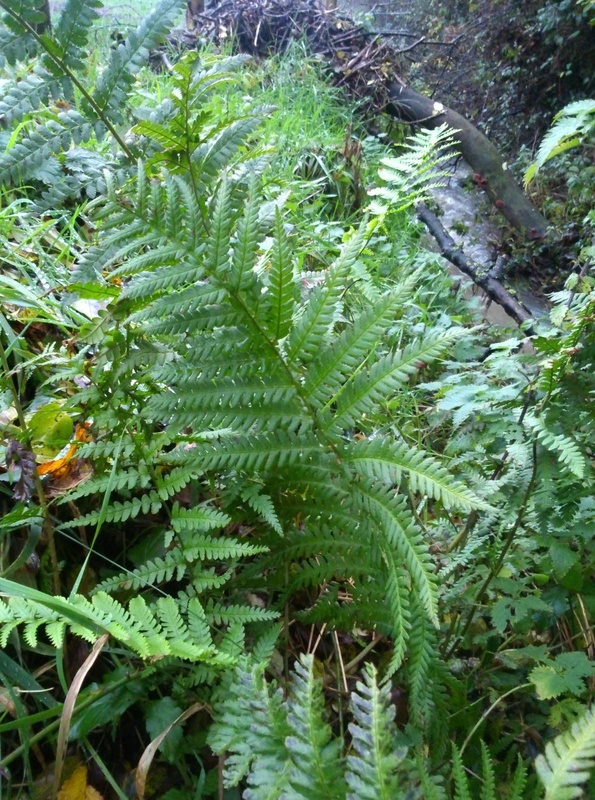 Woods, hedgebanks, ditch sides, etc. Common in Leicestershire and Rutland. 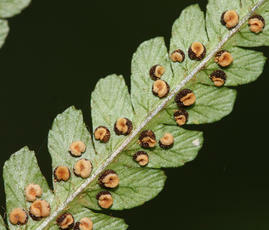 In the 1979 Flora survey of Leicestershire it was found in 343 of the 617 tetrads.